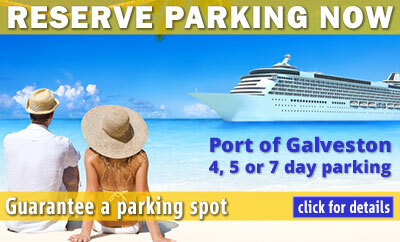 Convenient and affordable parking is available near the Port of Galveston for vacationers traveling by cruise ship. Whether you are traveling on Carnival Freedom, Carnival Magic, Carnival Triumph, Disney Wonder or Royal Caribbean's Liberty of the Seas, we offer convenient nearby parking for stays of 4-days, 5-days or 7-days. 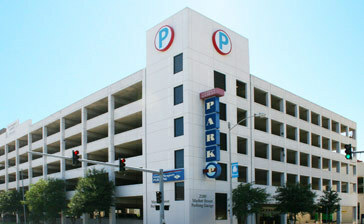 Drop off your luggage with the Galveston Cruise Ship porters and drive a short distance to our elevated parking garage that offers covered parking in close proximity to the Terminals and all that Galveston has to offer—both before and after your cruise. Click on a parking location below to pre-purchase Cruise Parking and guarantee a parking spot for your vacation! While in Galveston, be sure to visit our Attractions for a list of the most popular attractions and current happenings around Historic Downtown Galveston. We recommend that you pre-pay and secure your parking spot online before your arrival to save time, but drive up customers are always welcome.